The New York Rangers have agreed to terms with centre Jarret Stoll. Terms of the deal weren’t disclosed, but there are reports that it’s a one year contract worth $800,000. Stoll has been in the news more for his arrest record than his hockey skills recently, with the 33-year-old pleading guilty in June to two reduced misdemeanour charges. These charges involved an April arrest for cocaine possession in Las Vegas. He was initially facing a felony cocaine possession charge and would’ve been in for a possible four years in prison, but he plead out to the two misdemeanours and wound up having 120 days to complete 32 hours of community service. Stoll spent the last seven seasons with the Los Angeles Kings, winning two Stanley Cups with the club. 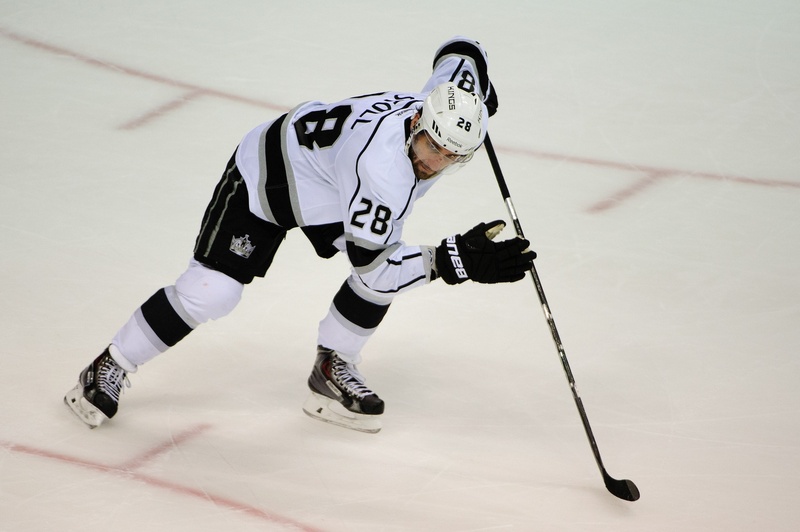 In 73 games last season, Stoll amassed 17 points including six goals. The real value for the Rangers comes with Stoll in the faceoff circle and as a penalty killer. With 792 games worth of experience with the Kings and Edmonton Oilers, he’s been able to win 55.4 percent of his faceoffs and has led his team in faceoff percentages in the past nine consecutive seasons. Stoll’s best statistical career season came with the Oilers in 2005-2006 when he posted 68 points in 82 games. He scored 22 goals that season and has never reached that summit since, although he did come close with a 20-goal season in Los Angeles (2010-2011). Many are viewing this as a second chance for Stoll and that’s not an unfair way to look at it. There was really nothing left for him with the Kings and they didn’t have an interest in picking him up on another contract after the previous one expired at the end of the season. The one year deal from New York should be a good feeler. Stoll is still theoretically a solid leader and his possesses good two-way abilities, which should make him an effective depth centre. He is versatile enough to play the wing, too, so that gives the Rangers some options to shuffle the deck a bit.